This is all very interesting, but what does it have to do with Android? Well, within CubeSat, there's a smaller project known as PhoneSat. The idea behind PhoneSat is that engineers working on these satellites will use small consumer electronics that are available to everyone. As you may have guessed from the name, the team will be using smartphones as the main component in its nanosatellites, as well as a few other necessary components. Of course, you can't simply send a phone into space and expect it to work without any issues. As with any project, testing procedures must be put in place so that the team knows how much a smartphone can do whilst it's over 100km in the air. So what is the smartphone of choice for engineers working on the PhoneSat project? 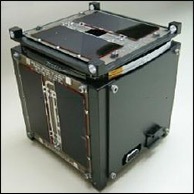 The first model, PhoneSat 1.0, actually uses a Google Nexus One. Now, before you start making a list of all the phones that are more powerful than the original Nexus, let's just put this in perspective by comparing its specs to that of the Curiosity rover. The Nexus One is powered by a 1GHz Qualcomm CPU, Curiosity packs a PowerPC G3 processor that was used by Apple in the 90's. The Nexus One has 512MB RAM, Curiosity has 256MB RAM. The Nexus One weighs 130g, Curiosity weighs... a lot more. When you look at it like this, the Nexus One really isn't a bad choice. You also have to take into consideration the time it takes for engineers to test their software on smartphones. Once the nanosatellite is in orbit, you'll have a tough time trying to remotely update the software on a phone that's 150km away. Due to this, it's imperative that the software is bug-free and works as the engineers intended. This requires a lot of testing, which takes time. Test have already been run to determine the physical durability of the Nexus One at high speeds and high altitudes. In 2010, two Nexus Ones were launched on rockets. Unfortunately, one of those rockets crashed and sent the Nexus to smartphone heaven, but the other one landed safely and the Nexus One was completely unscathed. Further tests have been run since, including one that sent the PhoneSat 1.0 into high altitude on a balloon last year. The next step for engineers is to finally launch the PhoneSat into orbit, where it will report back to Earth with its current status and send some images back, too. Rather than provide the original model with lots of functionality, the team wants to use it in order to see how it copes in orbit. Further functionality will be included in future models. The team is already building the second model, PhoneSat 2.0, which will use a slightly more powerful Samsung Nexus S as opposed to the Nexus One used in the original. The satellite will comprise of the phone, as well as a two-way S-band radio, solar panels, and a GPS receiver. The solar panels are crucial, as they will provide the unit with power whilst in orbit, and the radio will relay instructions to the satellite from Earth. NASA plans to launch two PhoneSat 1.0 units and one PhoneSat 2.0 with the maiden flight of Orbital Sciences Corporation’s Antares rocket later this year. With each PhoneSat prototype costing just $3500 to build, you can guarantee that we'll be hearing a lot more from this project in the future. 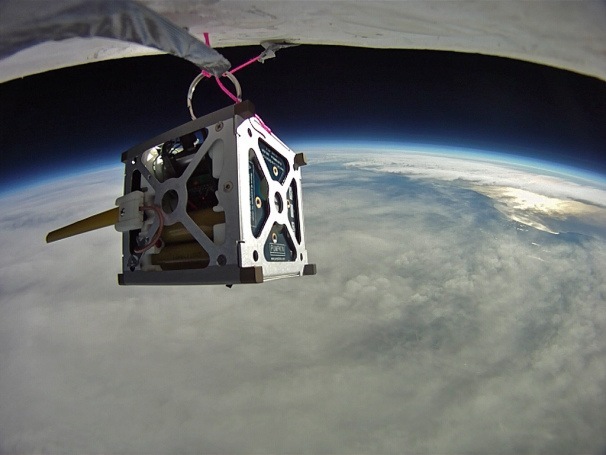 Using everyday consumer electronics available to everyone is a great way to reduce costs, and allow teams from universities across the countries to work on projects, getting their satellites out of the lab and into orbit. As well as using PhoneSat for low-cost Earth observations, the team at NASA also plans to use similar units to assist with moon exploration and testing new components for space flight.